We’re on the holiday home stretch right now and if you’re looking for ideas for a super cute gift or party favor, you’ve come to the right place. These tiny twig trees are fun, easy, and sure to please. 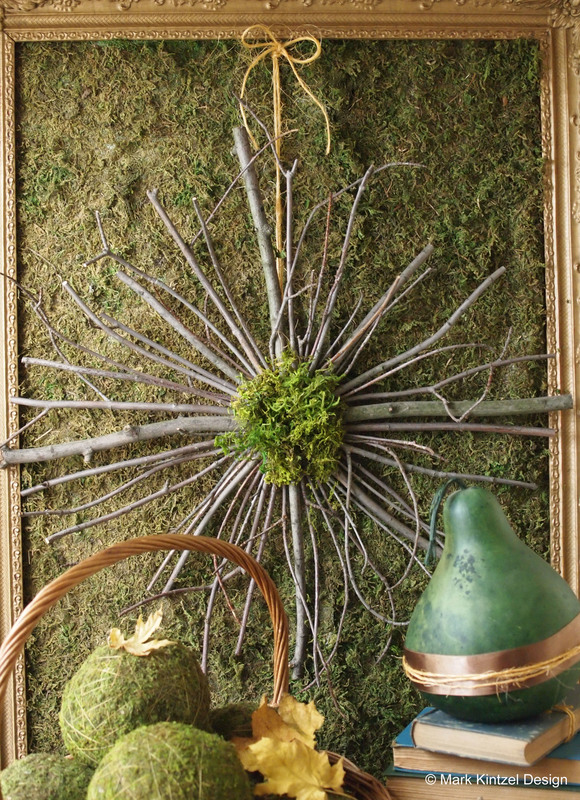 Create the tree by laying out five pieces of twigs on a flat surface; one is the trunk, second is the base of the tree, the third and fourth are the sides and the fifth is the center. After you have the shape desired, place a dab of hot glue where the twigs touch each other. When the glue is dry insert dry floral foam into the container then insert the tree into the foam (trunk first). Glue some moss to cover the foam and you are done! As most of you know, the northeast was attacked by Hurricane Sandy this past week. She wreaked havoc on countless families in numerous states (especially New Jersey & New York) and according to the latest reports, the economic damages will be in the billions. Thankfully Andrew and I escaped with minor damages compared to our neighboring states. During the storm, my giant backyard tree was relieved of countless branches and most all of its leaves. You may recall we experienced a similar weather situation last year, at the same time, and I created these Twig Christmas Trees. While waiting out this year’s storm, I decided to keep busy and created a stick wreath. It’s a super easy project and please don’t wait for a natural disaster to create one just like this. Using a sharp utility knife, cut a cardboard disc approximately 6 inches in diameter then cut a hole in the middle. 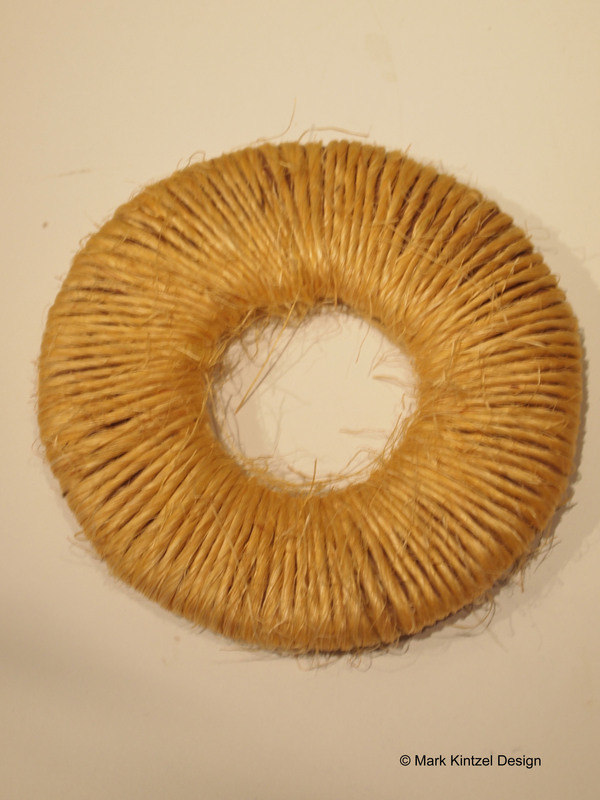 This is optional but I wrapped the disc in twine (see photo below). Then start hot gluing various lengths of twigs to the disc until you have the desired shape. Add twine or ribbon to hang and your done! 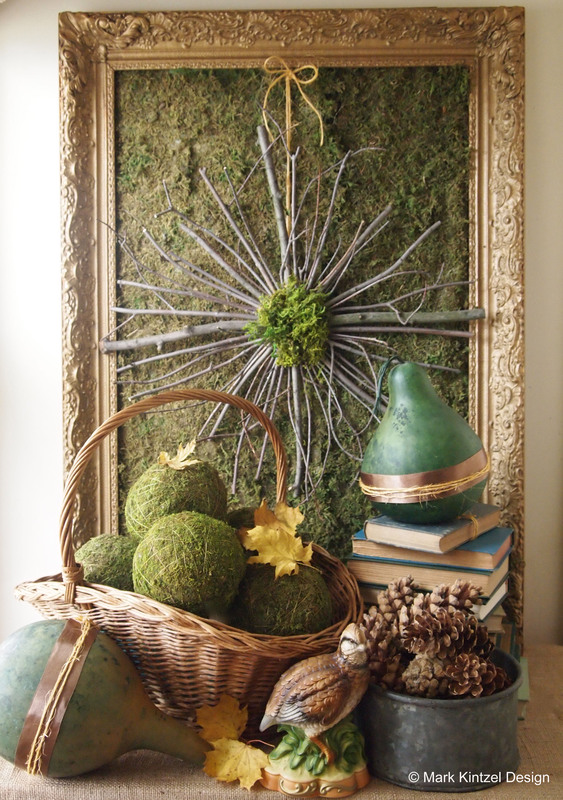 I stuck a clump of moss in the center of the wreath but that’s not necessary….I just really like moss. We are still having high winds in these parts so I decided to keep my wreath indoors for now. Fortunately, our families at the New Jersey Shore are safe and our sincere thoughts and prayers go out to those still struggling with Sandy’s devastation.